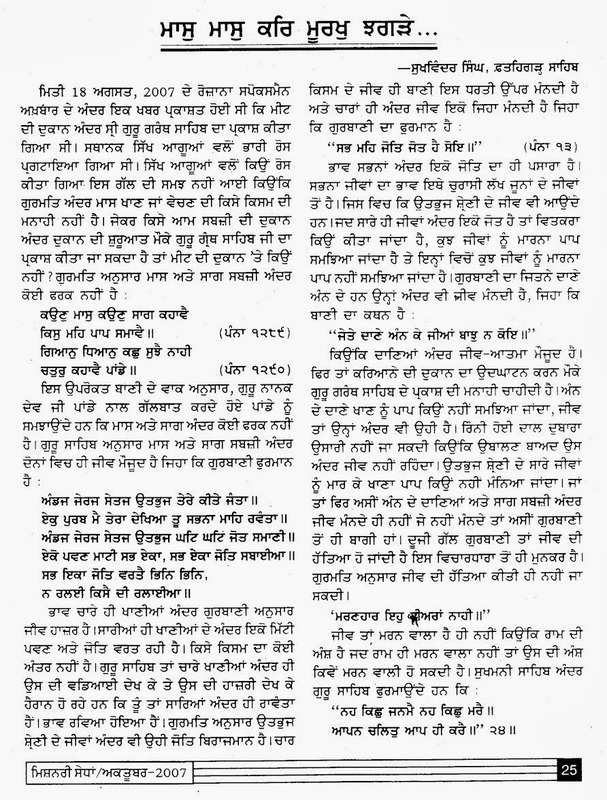 Missionary Sedhan is a magazine published by Sahibjada Jujhar Singh Gurmat Missionary College, Ropar. 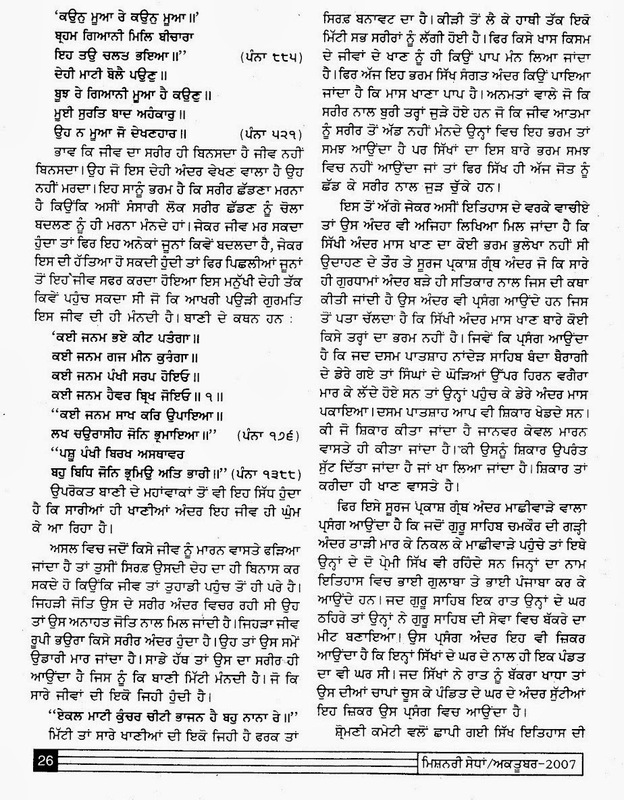 A nice Gurbani oriented article written by one of its writer Bhai Sukhwinder Singh of Fatehgarh Sahib. 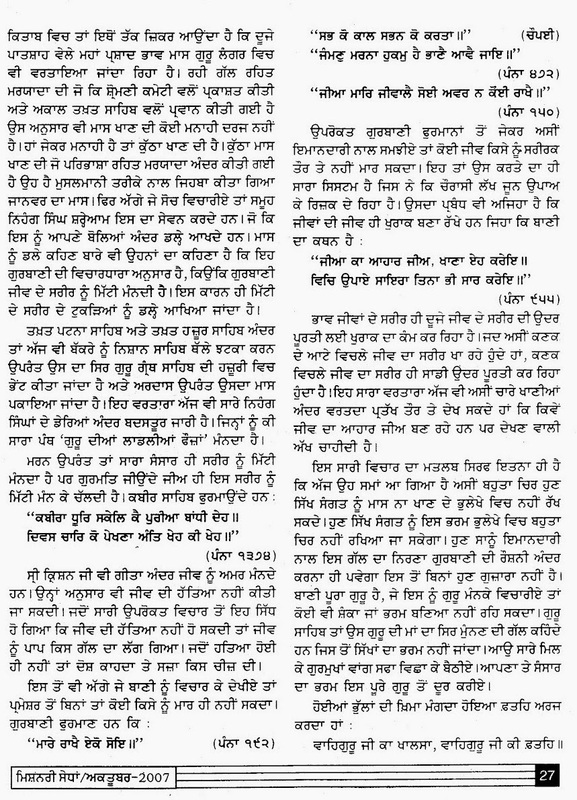 The article is written in reply to some incident where few Sikh groups got angry on Prakash of Guru Granth Sahib in a Meat Shop. The article covers definition of Mass, Jeev Hatya. Worth reading.